The three main compositions on “Snowmelt” are the fruit of intense work during the period from 2012 to 2015. On the printed page, these carefully planned and thought-through works, meticulous in their attention to detail and brimming with life, contrast and inventiveness, cover no fewer than 239 pages of full orchestral score. Neset burst onto the scene with his first album as leader in 2011, and was instantly hailed as combining “Brecker's power and Garbarek's tonal delicacy” and being “on his way to being one of the biggest new draws on the circuit” (Guardian). The album „snowmelt“ is his most ambitious, cherished and personal project to date. In these concentrated works, Neset has sought out chaos and dissonance, he has also been drawn to lyricism and tenderness, and then worked at finding a balance between the extremes, using compositional methods which subliminally bring out the continuities between them. Neset says “there is a clear method pinning whole thing together.” This is done in compositional terms by taking a single melodic line and putting it through a kaleidoscope of permutations and a multiplicity of moods. At the beginning of part two, the melodic line is adapted into a twelve-tone row which is stated first by the bass, then the piano, and then bassoon. The use of the tone-row is not a random element. It stands as a memory a decisive spur to the composition of these works. Neset's musical consciousness was deeply affected by hearing Berg's opera “Lulu” at the Copenhagen Opera in 2012. Another decisive shadow hanging over the piece (notably in the tender sixth section of “Arches of Nature”) is the drawn-out melody in the adagio of Mahler's tenth symphony, that landmark composition in which Mahler peered furthest into a new world following the collapse of traditional tonality. Other influences from that period are also evident: Stravinsky – there are certainly echoes of the “Circus Polka” in the final section of “Arches of Nature”, in which themes from earlier in the work are combined. 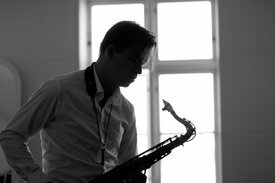 Another feature in this album is the sheer variety of sounds which Marius Neset can derive from the soprano saxophone, which is the result of a conscious and concentrated effort on his part. 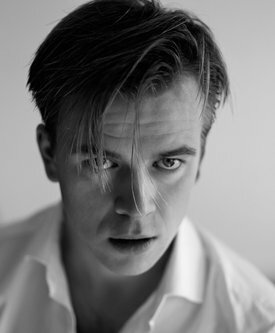 “I have been working more with the soprano, looking for extremes finding contrasts,” he says. Neset's achievements here recall the long list which that supreme soprano saxophonist Steve Lacy put in his book “Findings,” of all the things that this sometimes unforgiving instrument can do. The soprano sax, wrote Lacy, “can moo hiss kiss whine sigh hoot peep pipe pop ....whirr bark caw...sneeze tease freeze." On this album, Neset does all of these - and many, many more. “The Storm is Over” is an opposite pole to all the sequential logic, planning and forward movement of “Arches of Nature”. It holds and sustains a mood of positivity and contentment. The string section writing as the piece reaches its end all tenderness and calm, and the final section is a blissful farewell, never rising above a pianissimo. “Snowmelt”, the last of the pieces to be written, has the constant rhythmic instability and swagger implicit in its (4 + 4 + 3) time signature. The string writing has echoes of Bartókian savagery, the bass clarinet has some gruff and angry petulance to offload. There is one open section when the quartet is let off the leash and goes where it wants, and other parts of this infectiously rhythmic piece where the three rhythm players dominate the texture and lead the orchestral dance. Given Neset's long, considered process, the scale of the undertaking, and the sheer amount of work, time and thought that have gone into his compositions, it comes as no surprise that each listen brings seems to bring more revelations. There is always something more here for the listener to discover and unravel. Neset says of this work that he aspires to is to “find the point when everything makes sense.” For the listener, the search for that point will bring its own rewards.